Installing a custom recovery on the Samsung Galaxy E5 is what you want to do if you are flashing a custom ROM. The new recovery that’s made for your E5 smartphones is Team Win’s TWRP recovery, and once you fully install it, you are replacing the stock recovery for a new custom version which can flash those custom ROM zip files in an instant. 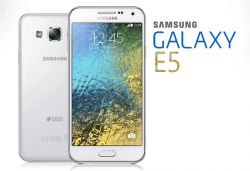 The following guide for installing TWRP recovery is made for the Samsung Galaxy E5. More specifically, it needs to be the model number SM-E500M. Those of you who do not yet know the model number of the device in your hands can easily find it by pointing to the Menu > Settings > About Device and taking a look at where it says the model number. It likely needs you to scroll down until you can find it on the display. Download the Samsung USB Drivers directly to your Windows computer. You must follow this guide on a Windows operating system ranging from Windows XP and up with the exception of some versions of Windows RT. Download the TWRP recovery file from this link . Download the Odin from this link . Extract them both on the desktop of the computer by right-clicking over the files and choosing the “extract here” option. 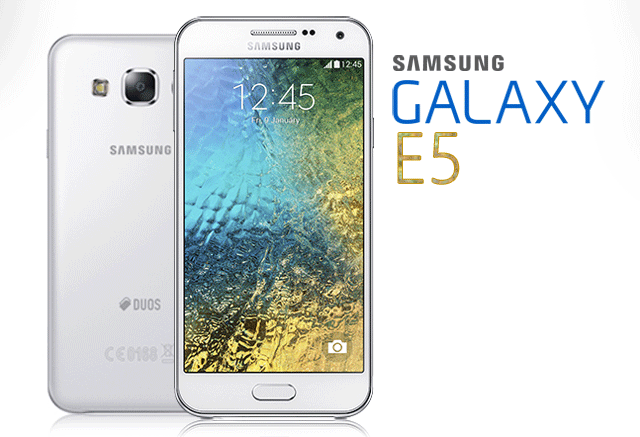 Reboot the Samsung Galaxy E5 to download mode. Run the executable Odin file by double-clicking over the file that’s on your desktop after you extracted the package. Connect the Samsung Galaxy E5 to the computer using the same USB cable you would normally use to charge the device’s battery. Click the PDA/AP button found from your Odin versions user-interface and browse the desktop for the TWRP recovery file. Leave the default settings in Odin and click the Start button. Wait until you get the pass message from the Odin message box before unplugging from the computer. If your device doesn’t reboot automatically, you’ll need to reboot it manually.